The Bredesen Laboratory studies basic mechanisms underlying the neurodegenerative process, and the translation of this knowledge into effective therapeutics for Alzheimer’s disease and other neurodegenerative conditions, leading to the publication of over 220 research papers. He established the ADDN (Alzheimer’s Drug Development Network) with Dr. Varghese John in 2008, leading to the identification of new classes of therapeutics for Alzheimer’s disease. His group has developed a new approach to the treatment of Alzheimer’s disease, and this approach has led to the discovery of subtypes of Alzheimer’s disease, followed by the first description of reversal of symptoms in patients with MCI and early Alzheimer’s disease, with the ReCODE (reversal of cognitive decline) protocol, published in 2014 and 2016. 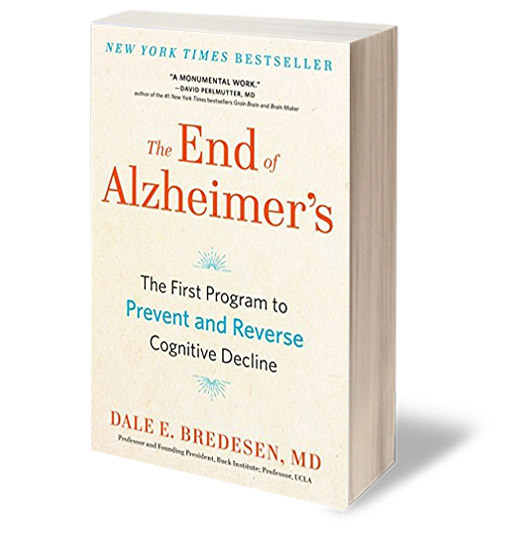 His book, The End of Alzheimer’s, is a New York Times Bestseller.